Protecting your assets and inventory is an essential part of good business management. Part of that process involves periodically assessing the effectiveness of your small business security system. Over the past several years, technology has evolved to the point where more reliable, powerful tools have become accessible to small businesses that did not exist back in the day. By making good use of today’s technology, you are taking responsible measures to ensure the safety and security of your business, employees, and your customers. Many operations encounter headwinds, especially from tech and upper management who may not see the obvious utility in updating a firm’s security infrastructure. At Aeon Systems, we help commercial companies come to grips with these problems and make sure their systems are up to the task. 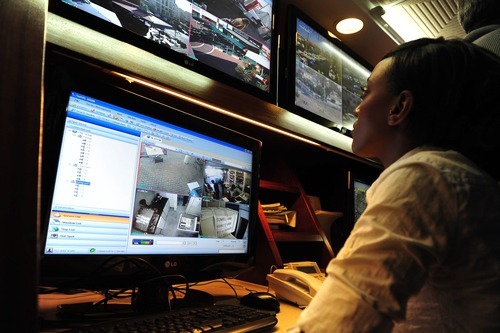 Business security systems in the workplace are becoming critical to day to day operations. From tracking who is accessing what areas or reviewing an accident to knowing when criminals entered your boundaries, alarm systems protect your assets and occupants. With the installation of resources like CCTV cameras inside and outside of your business, you can record and review incidents. If the business is vandalized or robbed, video will be instrumental in official investigations. Cameras can act as a deterrent. You can better monitor employee comings and goings, and discourage insider theft. 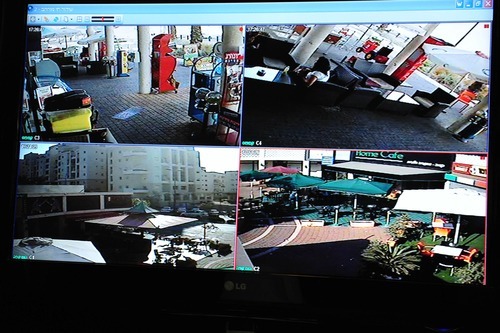 Commercial camera surveillance is an investment that pays for itself time and again. 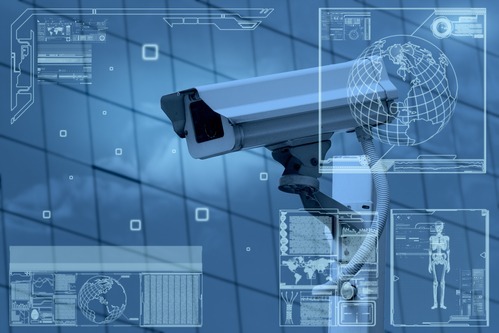 Sophisticated security systems are getting cheaper, putting enhancements like perimeter surveillance camera systems and fully wireless cctv systems within reach of even small businesses. With multiple visible cameras protecting both the inside and outside of the premises, it’s a safe bet that even a career criminal will move on to an easier target. 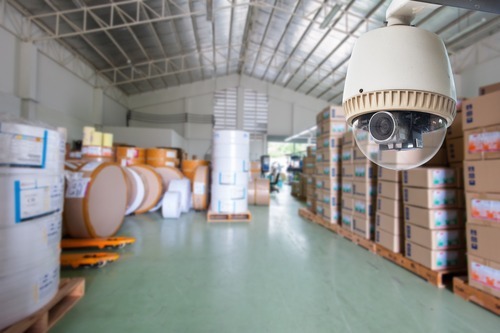 Adding motion sensor-activated cameras can keep your business secure and eliminate the need to watch hours of surveillance footage in the event of an incident on your premises. Newer digital formats also make it faster and easier to collect and distribute video evidence to the authorities. Today, remote monitoring is more affordable than ever and the small additional monthly expense will allow for immediate response should your business experience a break-in after hours. If you already have remote monitoring but have not upgraded within the last two to three years, consider the method your current system uses to alert the alarm company. Are you still using a wired relay system that runs through your phone line? If so, you could be slowing response time considerably. Wireless systems are capable of alerting your alarm monitoring company almost instantly – a huge advantage during a break-in or fire. Commercial camera surveillance has become invaluable to many industries, but retail has made it part of day-to-day operations. Retailers have used surveillance records to confirm an expensive purchase for a customer that has no receipt. These systems have uncovered employee vandalism and criminal activities. Video records have been used to prove accountability when a customer claims they were injured due to the establishment’s negligence. Many a store has used their security cameras to defend themselves in civil court. Ultimately, business security can reduce theft and vandalism inside and out, enhance overall business operations, curb inappropriate behavior in the workplace, maximize safety and protection, and more. Solid physical security can certainly provide peace of mind, but their eyes and ears cannot be everywhere. Stay apprised of what’s going on, even when your eyes and ears are elsewhere. Before installing any business security cameras, make sure you know the legality of workplace surveillance. It can vary by state. There may be areas – like employee lounges – where cameras are not allowed. Even in states where there are no privacy guidelines, courts have routinely favored employees when employers couldn’t sufficiently prove their security systems rightfully overrode employee privacy. Every business manager or owner wants to be certain that their premises are safe and secure 24/7. Today, it is easier than ever to keep tabs on your business even when you aren’t there. An alarming percentage of workplace theft happens from within. You undoubtedly want to keep your business secure after hours, but sometimes it’s during operating hours when your business is most vulnerable. It is estimated that as much as 45% of shrink can be traced back to employee theft. It is difficult (and unwise) to ignore the threat your own people can pose to your business when you contemplate a figure like that. While having trust in your employees is admirable, being informed of how the business is running when you aren’t there can help keep your doors open and keep your best workers employed. Newer wireless systems running on live webcams can be monitored from anywhere in the world without expensive installation fees or crippling maintenance costs. It’s one thing to have elements like security alarm services in place at a business. It’s quite another thing to have a modern IT infrastructure that allows you to accurately document incidents in a fashion that might expose patterns and ensure that occurrences don’t go unnoticed. A surveillance camera system can produce an impressive amount of footage. If you’re operating older storage units that use out-of-date compression algorithms, you may not be able to store anywhere near as much footage with an older unit. Converting from a system that uses MPEG-2 for storage to one that uses MPEG-4 can yield several-fold improvements in compression of archived videos. This means you can store more video and at a higher quality, something that every security professional will appreciate when it comes time to take videos out of the pile for investigations. You can have a security team like ours audit your entire operation to see that you’re taking the most efficient approach to keeping security video archives. An easy argument to make in favor of deploying up-to-date security equipment is one based in compliance. Firms that handle work for any federal agency are typically required as part of their government contracts to maintain modern security infrastructures. Likewise, companies with interests in the healthcare field also have to comply with standards under HIPAA. Although it’s easy to only see the IT side of these issues, it’s also important to appreciate that no company can claim to be fully protecting records without CCTV systems in place to monitor the locations where those records are held. 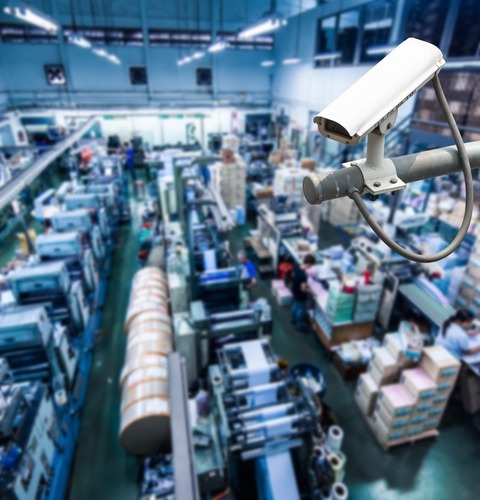 Security cameras make perfect surveillance tools for monitoring employees and operations. Managers and supervisors can be aware of what’s happening on the floor and assembly lines can ensure employees are where they are supposed to be and can review tapes when there are accusations of misconduct or lack of adherence to safety protocols. Modern systems do a significantly better job than older ones of allowing you to not only have footage on-hand, but to develop a detailed database of what types of incidents occurred and when. 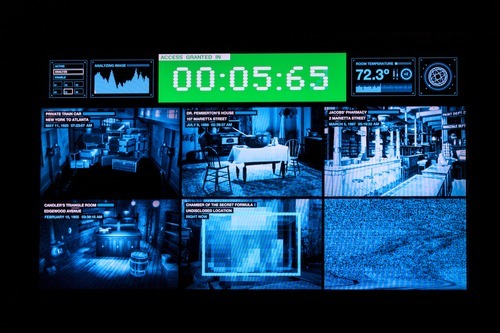 These databases can then be tied to the actual feeds that were monitoring events, allowing security professionals to quickly pull footage from the catalog. Upgrade Your Security System Today! 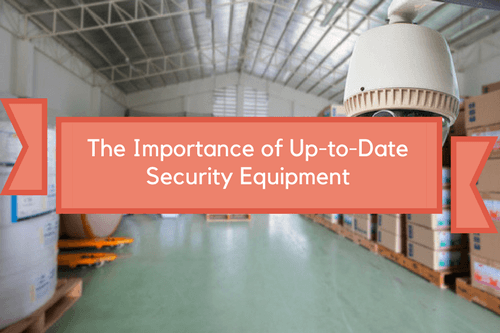 If you are running on an antiquated security system at work, the time to consider upgrading is now. 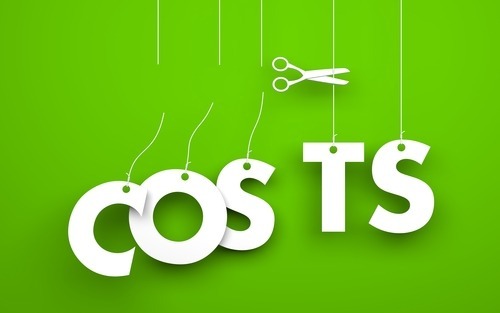 The cost is likely to be much lower than you think and the small investment you make today could easily protect your livelihood (and that of your valued employees) for many years to come. Implementing updates to a security system within a commercial operation requires a certain level of advocacy and ongoing dedication. Stakeholders often don’t appreciate the value of upgrades until a potentially avoidable incident happens. By getting better informed on security and working with a firm like Aeon Systems, you can begin to push for the changes that are needed to provide real business security.